iRealHousewives | The 411 On American + International Real Housewives: Eva Marcille Will Be A Full-Time Cast Member On RHOA For Season 11! 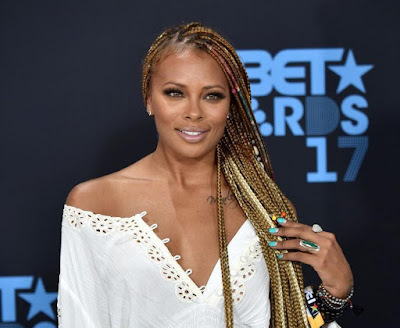 Eva Marcille Will Be A Full-Time Cast Member On RHOA For Season 11! According to multiple sources, Eva Marcille has secured her peach and the America's Next Top Model Cycle 3 winner will be a full-time cast member on season 11 of The Real Housewives of Atlanta, reports Us Weekly. Meanwhile, theJasmineBrand reports that "her storyline for the upcoming season will revolve around her being a new mom again," as she and her fiancé Michael Sterling welcomed a baby boy last month. The site also reveals that "viewers will watch her prepare to walk down the aisle with Michael." Eva and Michael got engaged in December 2017. Eva has a daughter from a previous relationship. Eva is the second "Friend of the Housewives" to get promoted from "Friend" to full-time cast member. Brandi Glanville was the first to do so, if you recall she first appeared on RHOBH in Season 2 as a friend, then she was promoted as a full-time Housewife from Season 3 to 5. Glanville was let go from the show after Season 5 but made guest appearances in Season 6 in support of Yolanda Hadid. As previously reported, Sheree Whitfield was not asked back and Kim Zolciak-Biermann confirmed that she was "done" with the show after the explosive RHOA Season 10 reunion. Bravo is currently test filming two women for the show's 11th season. As for Kenya Moore, there's so many rumors claiming that she has been fired from the show while other sources reveal that she has been demoted. Guess we're going to have to wait and see in regards to Moore's fate on the show. Are you happy that Eva is joining the show full-time? Sound off in the comment section below!